3 tier basket weave wedding cake with 2 flavors. 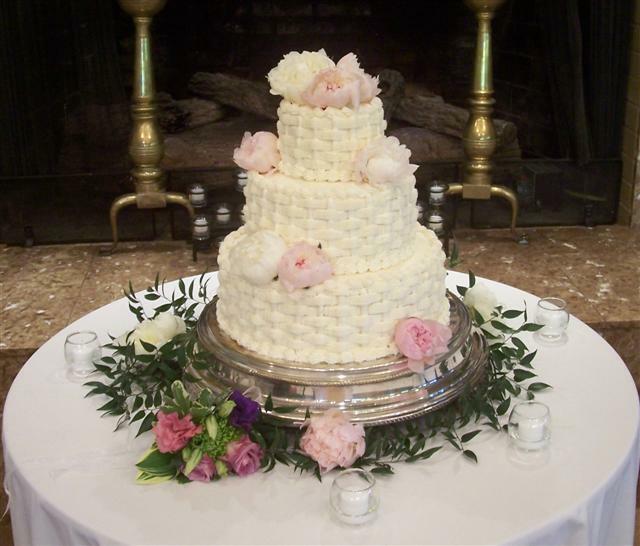 The top 2 tiers are red velvet with cream cheese filling, bottom tier, classic butter cake with vanilla butter cream. Fresh flowers, pink and white Peonies.